Oliveoilseminars.com and the Italian National Organization of Olive Oil Tasters (ONAOO), based in Imperia, Italy, are co-organizing in Greece the training for Certification of a group of Olive Oil Tasters in 2019, starting February the 8th. The training and certification process lasts four (4) months, containing 65 hours of education and tastings and will be completed by June 1st , 2019. 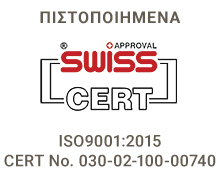 The Seminar is under the auspices of the Athens Chamber of Commerce and Industry (ACCI) and is certified per ISO 9001:2015 by SWISS APPROVAL TECHNISCHE BEWERTUNG. All training takes place in Athens by Greek, Italian and Spanish Professors and experts in olive oil. Cycle B’ consists of five 4 ½ hour tasting training sessions, with a total duration of 23 hours. These training sessions are taking place on Saturdays only (from 11:00 to 15:30), from March 2019 to June 2019. Dates are as follows: 16/3/2019, 30/3/2019, 13/4/2019, 11/5/2019 and 11/5/2019 (seminar and ceremony of certifications). Olive oil samples mainly from Italy are evaluated and discussed by Dr. Mauro Amelio (ONAOO) through Skype and panel leader Mr. Manolis Salivaras (Multichrom Lab) in person. Also “difficult” olive oil samples are being analyzed and discussed under the leading of Manolis Salivaras, MultichromLab panel leader. Bookings have already started. Expression of interest can be declared by email including contact information (name and cell phone number) to: info@oliveoilseminars.com, to the attention of Ms Anna Drakaki, who will follow up. For a firm booking, a €300 deposit is required. Participants completing the Olive Oil Tasters Certification process will be able to continue their training in evaluating olive oils for the following years, by following the unique Olive Oil Tasters Continuing Education Program, allowing them to maintain and improve their sensory abilities, very critical for a Taster. 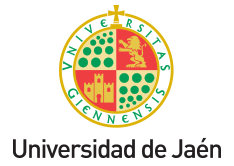 Full professor in Food Science - Department of Agricultural Sciences, Food and Environmental, University of Perugia, Italy. 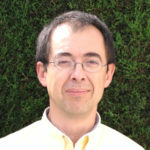 Dr. Agustí J. ROMERO, PhD in Food Science and Technology. Thirty years of experience as researcher at the IRTA Plant Science Program. His work focuses on virgin olive oil quality improvement and cultivar evaluation. 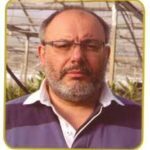 He is co-author of one book about olive cultivars in Catalonia, the chapter about olive oils from Spain in “Olive Oil Sensory Science Book” (Ed. Willey, 2014) and several parts of technical books on olive oil, food sensorial analysis, etc. 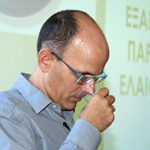 Manolis Salivaras is an experienced laboratory analyst and an expert of organoleptic evaluation of olive oil. 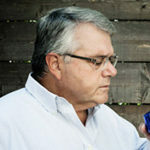 Initially he studied Food Technology at the Technological Educational Institute of Thessaloniki and then at the Agricultural School of the University of Saskatchewan in Canada. Graduate in Chemistry, he has been dealing with physical-chemical quality control, sensory evaluation and manufacturing process of a primary Italian olive oil company for many years. Since 1993, he has co-operated with ONAOO as a teacher, taster and scientific advisor. In 1997 he got the Panel Leader qualification by the International Olive Council (IOC). He is also co-author of scientific papers on methods to analyse olive oils. George Kostelenos was born in 1963, in Galatas, Troizinia, coming from a farming family. 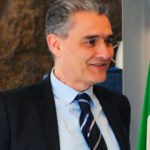 He commenced his studies at the Agronomy Faculty of the University of Pisa, Italy and continued at the Agricultural Faculty of the Aristotle University of Thessaloniki, where he graduated in 1988. 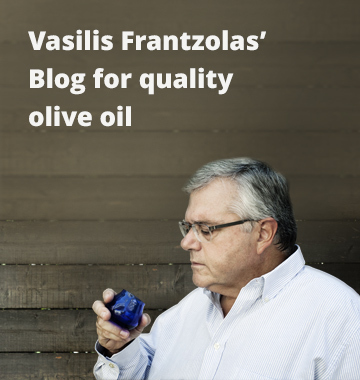 Vasilis Frantzolas, born in Athens, has a long family tradition in the wholesaling and retailing of olive oil. He studied as agronomist engineer and then completed his studies on civil engineering, M.Sc. (Athens) and construction management, M.Sc (USA). In 2009 he received a Master’s degree in Food Policy at City University London. 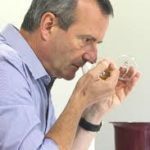 His education and training in the sensory evaluation of olive oils began in 2003 and he has then attended various seminars in Greece and Italy concerning the sensory evaluation of olive oil. The two cycles offer a total of 65 hours of training. The seminars will take place at the Inform-Lykos S.A. installations, in Koropi. The location is easily accessible by car, and is 5’ away for the Athens airport. The Seminars hall is specially equipped with giant screen, fast internet connection, skype and P.A system. There is a Grigoris® cafeteria at the premises and a restaurant at 200m. Oliveoilseminars.com students that have Certificates of Participation of both cycles A’ and B’ of the Olive Oil Training Seminars are entitled to a 10% discount. Olive Oil Tasters that have completed the program are entitled to subscribe to the Olive Oil Tasters Continuing Education Program allowing them to maintain and expand their tasting abilities. There is a 300 € down payment at the time of registration, and the balance in 3 equal payments, completed before the start of the seminar. The Tasters, after completion of the procedures, will get the right to enroll and follow-up the Annual Olive Oil Taster Training Programs (PSEDE), which consists of monthly delivery of 6 samples of (mostly) defected oils. This is a unique internationally continuing education program, organized by Oliveoilseminars.com and MultichromLab, aiming to to maintain in high level the organoleptic capabilities of Olive Oil Tasters.